Malmesbury House, is in the Close of Salisbury Cathedral, in Wiltshire. Once called Cole Abbey, or Copt Hall, it was built on the site of some small medieval houses to the North of St. Ann’s Gate, and was a canonry in the 13th century. The present building dates from the late 17th century and has largely 18th century interiors. The house is listed Grade I and comprises two storeys and an attic floor. The West front was designed by Sir Christopher Wren and is of ashlar with a plain first floor string. It has a deep moulded and coved cornice and a steep pitched hipped tile roof. The facade is surmounted by a tall hipped central dormer with cornice and architrave frame. There are seven windows on the first floor with small keystones. The central window is flanked by narrow ones two panes wide. A similar arrangement exists on the ground floor with a central entrance with narrow flanking windows. The front door has stone architrave with keystone console brackets to moulded pediment. 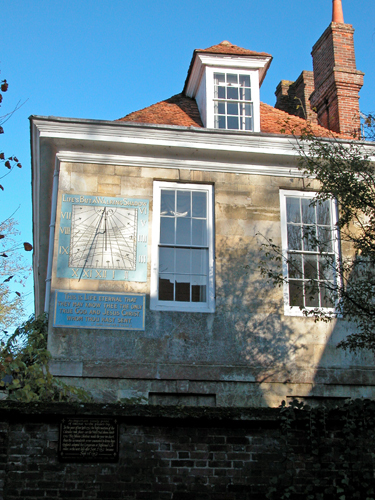 The south front has one dormer and two sash windows to the left of which is a large painted sundial dated 1749, with the inscription “Life is but a walking shadow ” a quotation from Shakespeare`s Macbeth. The East front is part of the Close wall and has a projecting angular oriel window, which overlooks St John Street. This house includes St Ann’s Gate which forms an entrance to the North East corner of the Cathedral Close. The original 14th century gateway formed a communal building for the Vicars Choral (laymen employed to sing musical sections of the cathedral services). However, this guild was dissolved during the Reformation. The room above the gateway later became part of the house and served as the music room. At the beginning of the Civil War Sir George Vaughan, High Sheriff of Wiltshire, was living in the house from where he raised forces in the county to support the King. King Charles II stayed in the house in 1665 when he fled London to escape the Great Plague. Twenty years later, a 17th century summer-house in the garden is said to have been the refuge of the Duke of Monmouth after the Battle of Sedgemoor. The Harris family had taken over the lease of the house in 1660 and it was James Harris II who was responsible for building the Wren facade. His son, James Harris III was known as “Hermes Harris”, after a book he had published – Hermes, a philosophical inquiry concerning universal grammar. In 1761 James Harris became Member of Parliament for Christchurch and held this position until his death. 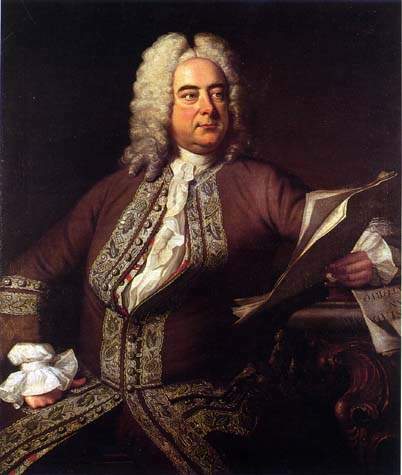 He was a great lover of music and a friend of Handel, who is said to have given his first concert in England in the music room above St. Ann’s Gate. Harris organised and directed regular subscription concerts and music festivals in Salisbury for nearly fifty years. These continue to this day. James Harris III is largely responsible for the very fine interior. This has a good spacious staircase of about 1780, with twisted balusters, an open string and moulded cut brackets. The walls have stucco decoration with niches for busts. 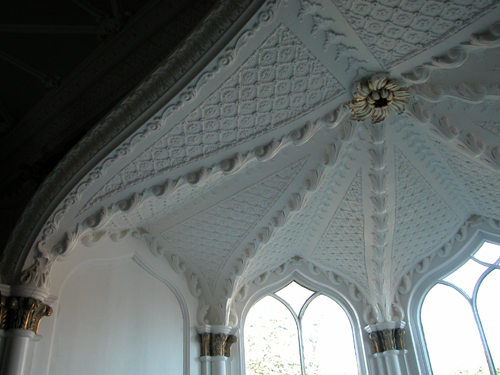 The Library on the first floor is lit by the bay window on the North front and has very good early Gothic Revival decoration reminiscent of that at Strawberry Hill. 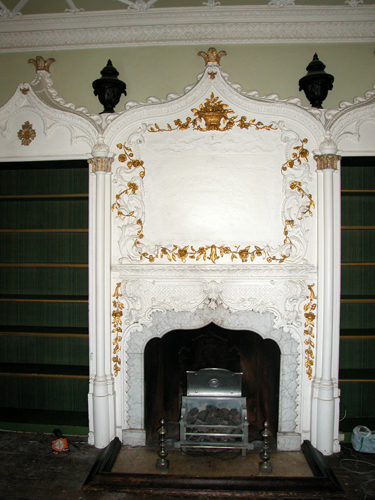 The mantelpiece is Rococo and the room probably dates from about 1760 with a slightly later ceiling. Harris was a friend of George IV, when Prince of Wales, and father of the 1st Earl of Malmesbury, described as “ the greatest English diplomat of the eighteenth century”. I was asked to provide advice on the use of paint and colour in this family home, which is occasionally open for guided tours. 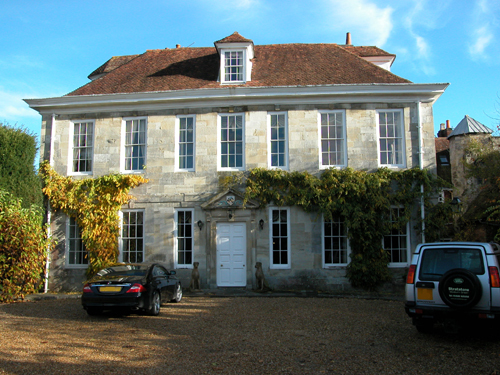 Thank you for sharing your photos and essay on the Harris Family and Malmesbury House. Our family have the house, originally in the garden of Malmesbury House on the northside and now walled in (currently known as the Old Wash House or no. 2 St. John Street). I would like to ask whether or not this was the summer house you referred to where the Duke of Monmouth is said to have stayed after the battle of Sedgemoor. If this is not so, do you have any research as to when this small house was built or any other information regarding it? Very many thanks. No. I’m afraid that I don’t have any information other than that found on the Internet. My client at the time didn’t provide me with any details. Have you contacted the local Conservation Officer, or maybe the local history group? It shouldn’t be too hard to learn more as the Close is so well recorded. Is there a ‘Victoria County History’ that deals with Salisbury? Good luck. Thanks very much for your reply. I will investigate your these possible leads. I hope that you make some headway. I would be very interested if you learn anything new about the house.